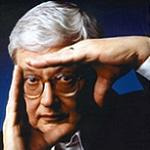 Tomorrow (Thursday) morning, at approximately 8:30 a.m. Eastern Time, I will be debating film critic Roger Ebert regarding his support of Islamic terrorist Ibrahim Parlak, on Howard Stern’s Sirius Satellite radio show. Roger and I have had it out over this issue (here, here, and here), including in one of his syndicated movie review columns. And, don’t forget, his webmaster posted this regarding my movie reviews. Hmm..Ebert always was a shallow twit. It is safe to say you don’t like him and his support for terrorism. Take no prisoners! Damn! Sirius is subscription…any way to get a transcript? I’d love to see Roger Rabbit get a new one ripped – Then he could have twice the pleasure. Ebert on Stern, is he mad? He could find some more respectable place to explain a few things about movies and what cinema is all about. RE howerd s.:do not forget You are the one helping him out. Who are you referring to danny? Don’t forget Debbie S.;You are the one helping stern out by going on his SHOW. Considering the Oscar lineup this year, it’s easy to understand why there’s very little in the way of good movies for Ebert to comment on. Goody. Debbie and Roger are my two favorite Stern guests. Mark McGilvry – BUY A DAMN SUBSCRIPTION!! IT’S WORTH IT!!! And while you’re at it, dump your cable TV, there’s really nothing worth watching for $75/mo vs. $13/mo for Sirius. The gorgeous Debbie v. The Pillsbury Dough Boy – my money is on Debbie. I think Stern has Debbie on because she’s good for his show. She just won’t back down. People like Ebert and other celeb types are used to people just nodding and agreeing with everything they say and do because the media won’t question them because they are afraid of losing access. That’s one of the reasons I don’t care for Stern anymore, he’s become one of the fawners, except when it’s an easy target like Rachel Hunter who is a minor celeb at best. In response to P. Aaron, I bet Ebert actually thinks it’s a great year for movies to comment on. “Backdoor Mountain”, “Munich”, and other lefty propaganda are Ebert’s type of movies to fawn over. OK, guys. Someone, anyone who listened. Anyone have a report or observations from the Great Debate? Did Debbie ruin Roger’s breakfast and make him really mad? Debbie was articulate, as usual. Similar to when she put Costanza on the spot. Would love to see her debate Eggbert or Costanza without interruption or time limits. Debbie supplies facts that can be backed up, not so Eggy and George. Hey the- man; Tell us what went down on dr phil today. Yeah, I will pay, Danny, so I can insure your buddies Howard Stern and Artie Lange can get even richer and stay on the air longer. Thanks for the suggestion, bud. I usually don’t watch Dr. Phil, but I did just happen to click on it and he was interviewing Pam Anderson. I usually don’t care for her, but I felt for her as she said she is worried about some weird guy she keeps running to at the vet clinic. She said it’s some drooling guy she thought was named Donny or Denny or something like that. Keep up the insightful and content filled posts and have a great weekend, dan. the man ;lets start a money drive and get you those radio + t.v.channels . got to keep up (big man). I have a better idea, Danny. Even though it’s been fun, I’m going to ignore you for now on out of respect for Debbie and everyone else here. If you want to carry on by yourself, be my guest.